b. 9th July 1923 d. 21st January 2013. The day was an opportunity to look back into history and track Ron’s life from 1923 and even before to his Dad’s life which began, unbelievably in 1867! Ron loved and respected his Dad very much, was always very proud of him, of his dignity, his calmness and his own positive outlook on life. 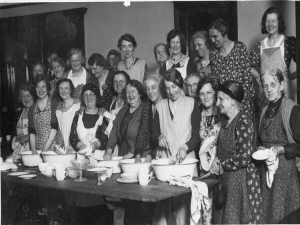 Times were very different in 1923 and Bradford is certainly a very different place to the place it is today. It was a wealthy wool town, with a lot of life and bustle and of course there was no hole in theCity Centre! Aye I’ll have a cup of tea I’m sure! In rows all straight and neat. And lonely folk and nosey folk. Bradford, though, at that time was a filthy place to live and the smog didn’t agree with Ron at all and he was quite a poorly young boy, spending six years of his life at Grassington Sanatorium, “Outdoor School” as it was known where he made many friends. Maybe it was here where he developed his love of gardening. When he returned at the age of 16, with no qualifications, he got himself a job at Bowling Cemetery, where he tended the graves, looked after the flowers and weeded the beds. Sadly, burying his father there in 1942. 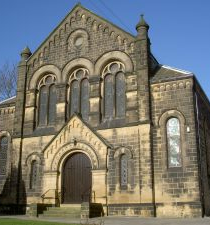 Grandma came up from Ripley, Derbyshire to work in the mills and as many will know, Ron’s claim to be a direct descendant of Lady Chatterlety’s Lover is legendary, but obviously, not one to be told in the church! 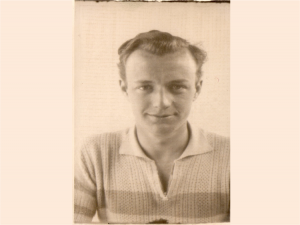 His second job was at the BDA, Bradford Dyers Association, where he worked as a driver, famously getting done for speeding at about 15 miles an hour! Much to Grandad’s disgrace. 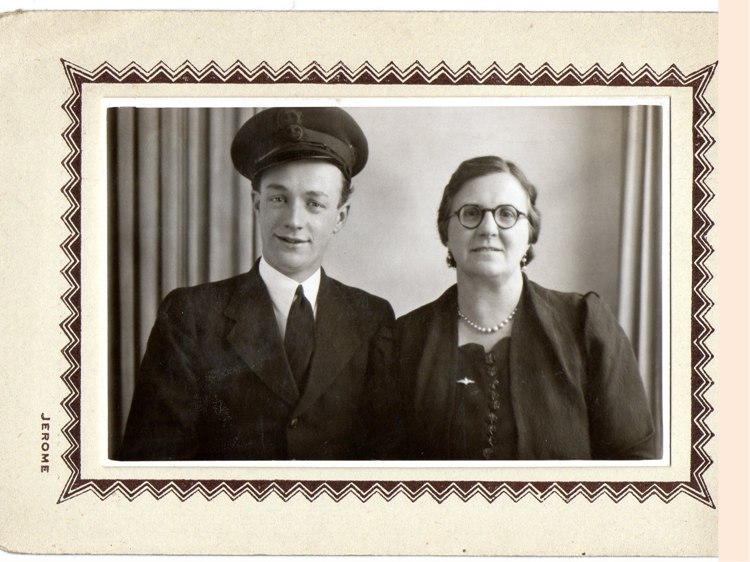 Around that time he joined the Home Guard…a real Dad’s Army fan all his life! He saved his pennies and at last could afford his pride and joy a green, 3 wheeled Morgan, much to his mum’s horror! Again, strangely enough, when he went away to war, Grandad stored his Morgan at Jack Tordoff’s Garage in Bradford and, we found out much later, that a young mechanic really took a liking to the car and used to sneak into the storeroom to sit in the car to have his sandwiches. When suddenly air raid siren went off. We ran looking somewhere to hide. We didn’t know how long there we’d be. t rank, he managed to maintain his undying style! We were never really sure what he did in Australia, apart from ride crafts under Sydney Harbour Bridge, eat bananas and have lots of fun. There was always talk about long lost cousins in Australia, but I don’t think we should go there either! 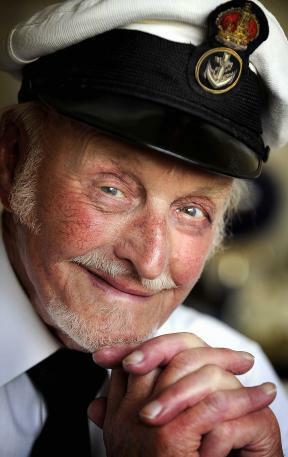 D-Day was a serious matter though, and Ron spent night after night stationed off the coast of France. One night, at the Midland Hotel in all its former glory, he met a Buttershaw lass that had come good and moved to Baildon. She swept him off his feet and brought him to the top o’t hill! Treating her to the luxury of a pint of brown ale! To cut a long story short she introduced him to the Rycroft family and, well, that was that so to speak! Around that time Ron joined Aristoc as Sales Representative, finding one of his many talents. He was a huge success, very professional and very proud of his position. He made many friends across the country with his professionalism, his personality and his twinkling eyes and his good looks! He certainly enjoyed his job and the firms cars, and as he put it “travelling the country in ladies hosiery!” I can’t think why! 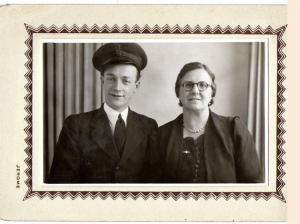 Whilst travelling, he would write; looking back on his childhood and the things that were important to him, the things that made him who he was; he was always so very proud of his upbringing, his mum and his Dad, and he never lost that spirit and that love of life he had inherited from them and from his childhood. Following Aristoc, Ron worked for elle for a number of years and finally began to work as an agent on his own with a range of agencies in Ladies fashion accessories. He continued to write and grabbed his own slot on Radio Leeds “Bairstow’s Bradford” and began to really explain his thoughts about his beloved poems. He showed in his poetry how he really developed his love for life and his passions for the country, people and, for example music. I’d be a Tingalari Man. Like a tinkling fairy band. By gum it warmed your heart. He loved orchestral music and adored going to see the Halle, he would listen to the proms over and over again and until very recently could be heard singing along to all the hymns from his childhood to Songs of Praise. He had a great bass baritone voice and had been a trained singer. 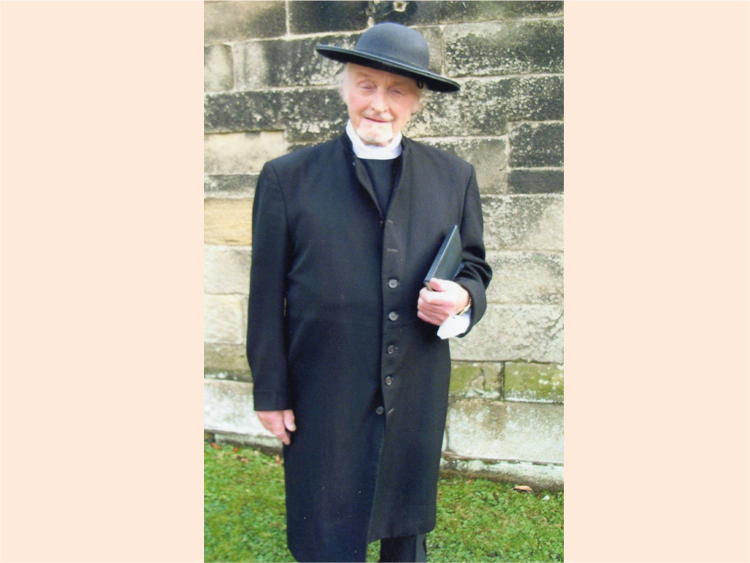 One of Ron’s many claims to fame is that he was the first person to ever hire York Minster for a charity event and he and the choir raised thousands of pounds for Yorkshire Cancer by putting on a concert in the main part of the church. He loved G&S and was really proud, as we all were for him to join Haworth G&S for a grand production of Ruddigore at East Riddlesden Hall, where he joined the company which included some of the rest of the family, who he adored, and of course himself as the vicar. A fantastic family experience for us all. 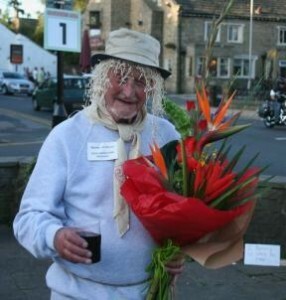 In recent years he was a keen and popular member of the Baildon Mens Forum and it was a pleasure to see so many members of the forum at his funeral. He was a member of the Golf Club, where he and mum played for many years. I think he enjoyed the walk more than the golf, but there we are, and of course the opportunity to reflect, think and just be at peace with his beloved moor.
. 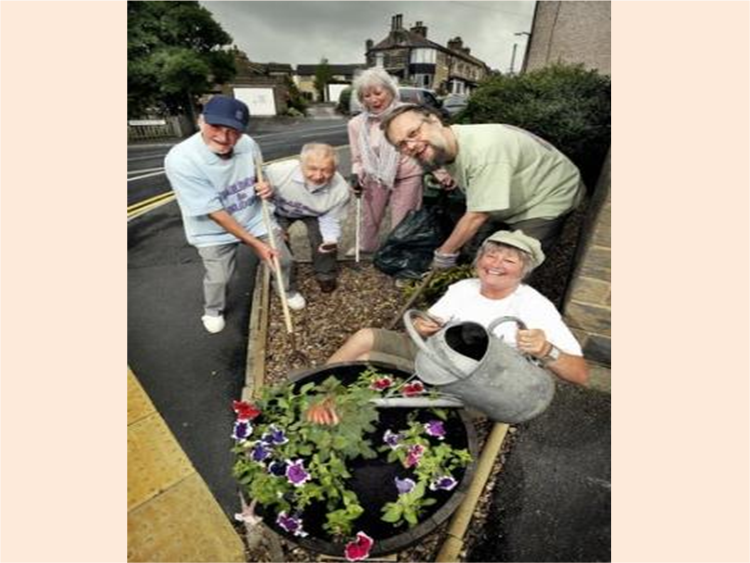 He and the committee worked tirelessly to improve Baildon and were really proud to be awarded a silver Gilt award a few years ago. Once he got a project in mind there was literally no stopping him, and you could always tell that once he got that glint in his eye something big was about to happen! 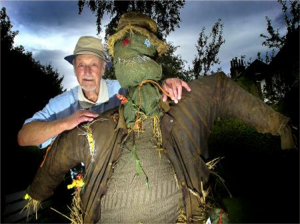 The Scarecrow Day was no exception and I know that he would have hoped that could be his legacy to Baildon. He was also very proud of his work in Bedlam garden and in particular of the thoughtful plaque provided for him in the garden last year. He was also honoured 3 years ago with an invite to the Houses of Parliament where he received a national Contribution to the Community Award. But most of all he loved Baildon. 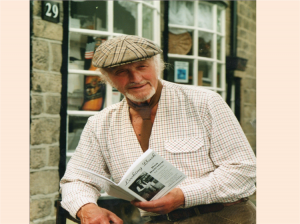 He was a keen advocate of supporting local shops and businesses and very rarely shopped outside of Baildon. He did his weekly shop at the Co-op, enjoyed shopping in Pickles and Emmas (where he continued to twinkle!). Enjoyed the local cuisine at Balti and Janis and picked up his medication from only Peter, his gifts from Finesse, his mobiles from Aki, his blonde from Café 12 and his brunette from The Angel! He also loved it at the Methodists and really valued the love and support the church gave him, especially in recent months. In his hymn singing you could almost feel him going back in his heart to his chapel roots. Yes, Looking Back with Ron Bairstow was always been a privilege. He was a man of dedication and a true professional in all he did, a very thoughtful man, always full of fun and laughter, always forgiving and kind. Something else he maybe learnt from his childhood. Amidst the multi-coloured blossom as they bloom. A scented multitude of rich perfume. Let me hear the twittering sparrows in the trees. And the song of the song thrush on the breeze. Let its rays caress my cooling face. To guide me to another place.